The greatest champions, goes the old adage, are those who leave their sport better than they found it. Tennis has been blessed with singular champions who have transformed and transcended the game; power players who have changed the way the game is played, or perceived, or both. They have shaped tennis through their deeds, their example, their behaviour (for better or worse), their playing and personal styles and their character. They have inspired entire nations to play and follow the game, changed the tennis culture, and grown the game by expanding opportunities for others. The following power players have all contributed a legacy as individual as their game style. Is there a more revered figure in the game than King? Pioneer, godmother and midwife of women’s tennis, King sacrificed her own career in the early 1970s to get women’s tennis off the ground. She courted sponsors, united the players and put in endless media appearances to spread the gospel. 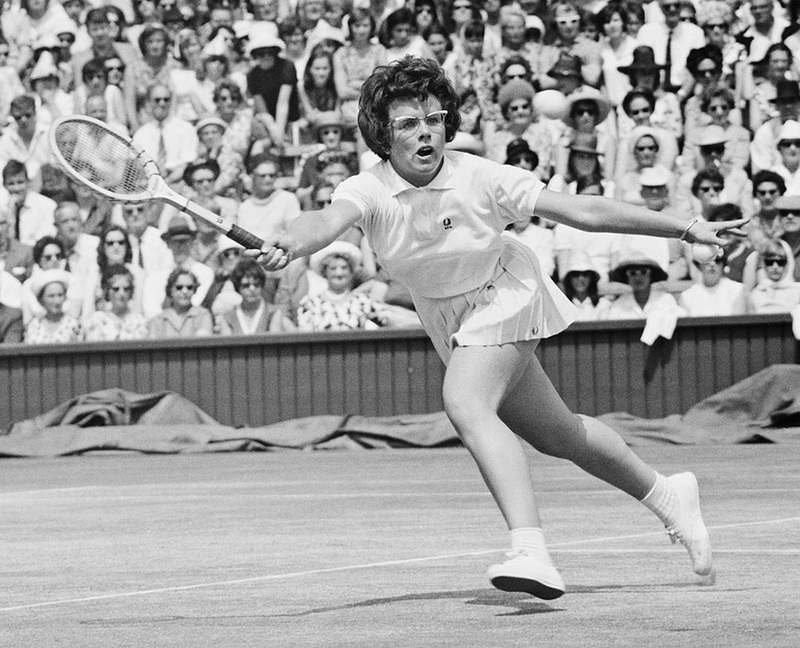 King was prepared to do anything – culminating in her win over Bobby Riggs in the 1973 Battle of the Sexes circus before a record tennis crowd and TV audience – to show that professional women’s tennis was not a feminist fantasy but a viable business. Her leadership and legacy is not lost on the young players now reaping the rewards. 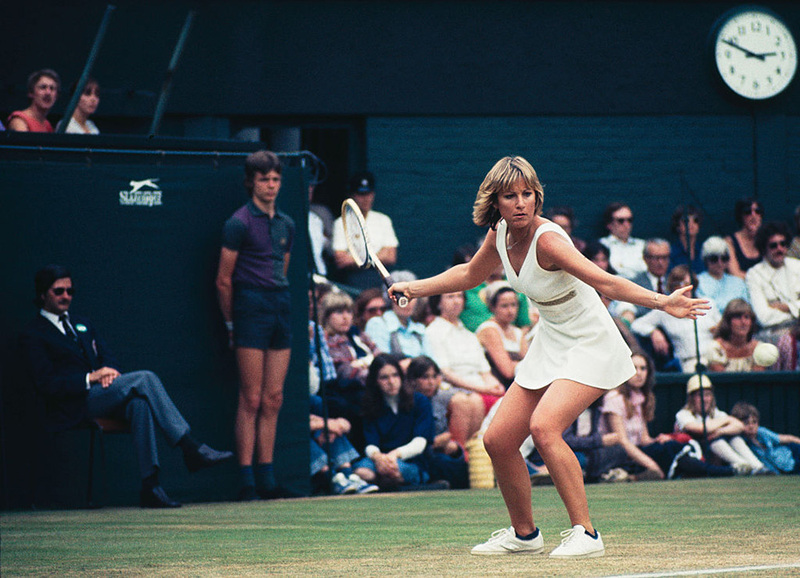 The most influential and emulated role model in the history of tennis, Evert arrived as a telegenic 16-year-old semifinalist at the 1971 US Open. The Ice Maiden was a perfect fit for TV in the early dawn of the professional era, with her youth, her graceful baseline play and cool match temperament. All that would have gone unnoticed were it not for Evert’s success and unmatched consistency. She was a Grand Slam champion and world No.1 at 19, amassed 18 majors in singles and ranked in the top four over her stellar 19-year career. Evert still holds records for the most French Open women’s titles (seven), the longest winning streak on any surface (125 on clay) and the highest winning percentage in the Open era, a smidge under 90 percent. Her errorless baseline style, highlighting the art of the possible over raw athleticism, paved the way for generations of pony-tailed imitators. 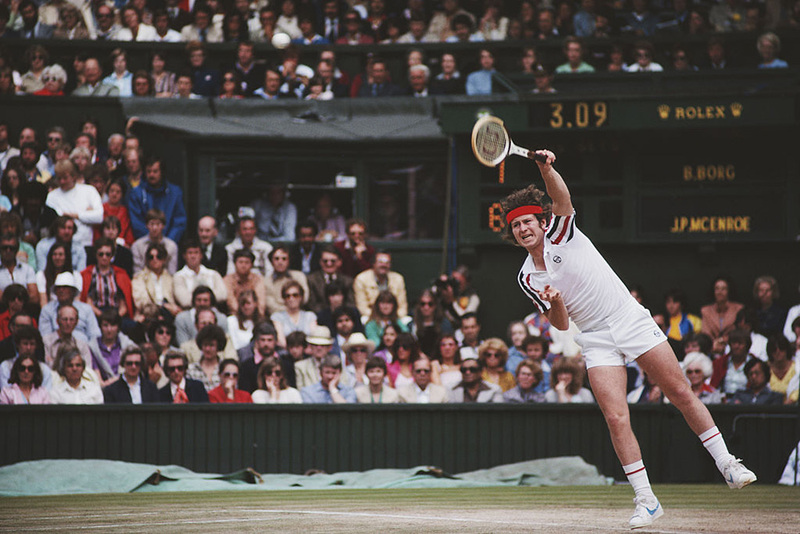 Evert’s signature double-handed backhand became the new orthodoxy. Above all, Evert ushered in the age of the prodigy, demonstrating that girls could rise to No.1 while still in their teens. Fathers have been batting tennis balls to their toddler daughters ever since. The high priest of serve-and-volley, McEnroe’s banner year of 1984 (13 titles, 82-3 for a winning percentage of 96.5) still hasn’t been bettered. But his impact on the game had little to do with his exquisite attacking game. As the controversial Superbrat, McEnroe’s volcanic outbursts hastened the arrival of professional officials and line calling technology. It took years of ugly spats with umpires – and a default at the 1990 Australian Open – but McEnroe exposed an inconvenient truth: the players were full-time professionals while line-judges and umpires were often dabbling amateurs. The disparity between the two had become damaging to the game. McEnroe wielded considerable commercial clout by popularising a little-known shoe brand called Nike and by switching to a graphite frame in 1983. His immediate success with the Dunlop Max 200G hastened the demise of wood racquets the world over as club players emulated the No.1. Surprisingly, given his toxic relations with the media, McEnroe was an instant hit as a commentator in his next tennis incarnation. Who could have pictured the former terror of centre court as an astute and insightful caller of … women’s matches? If he wasn’t the ideal role model as a player, McEnroe certainly has elevated the art of commentary with his sharp insights, wit and empathy – a quality never associated with him in his tempestuous playing days. If you’re a member of the tennis commentariat, you learn a lot listening to McEnroe. If you’re a player, you absorb his every word. If you’re a tournament, you want McEnroe in the commentary box at your event. Germany’s golden girl secured her place in history with typical briskness – at age 19 Graf was the sport’s first – and only – winner of a Golden Grand Slam. But for all her on-court dominance – the longest-reigning No.1 in the history of computer rankings – Graf was a reticent figure off the court. Her power was exerted on the court, and is still in evidence today. 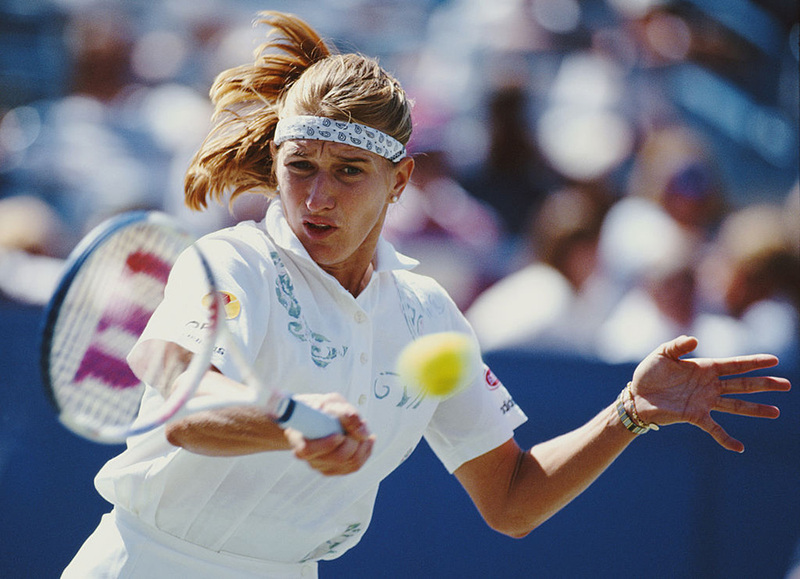 Graf was the first aggressive baseliner in women’s tennis, prepared to risk extravagant errors for spectacular winners. Her pacey, powerful game set the template for women’s tennis. Baseliners were no longer risk-averse counter punchers. The Graf forehand remains arguably the most devastating weapon ever in the game. ‘Fraulein Forehand’ was not technically perfect – she struck the ball a fraction late, with a high, hurried swing – but Graf’s tearaway success led to the forehand being taught and developed as the go-to weapon. Her example also shifted conventional strategy to focus on the inside-out forehand as the bread-and-butter shot and put-away, rather than the change-up shot it was previously. Graf was so effective at taking up position in the backhand court and pummelling her off-forehand, daring opponents to hit to the open court on her cannon forehand, that this became standard strategy in both men’s and women’s tennis. Graf also personified the shift in the tennis power base from America to Europe. In the post-Graf era, four Americans have ranked No.1, outnumbered by a dozen Europeans. 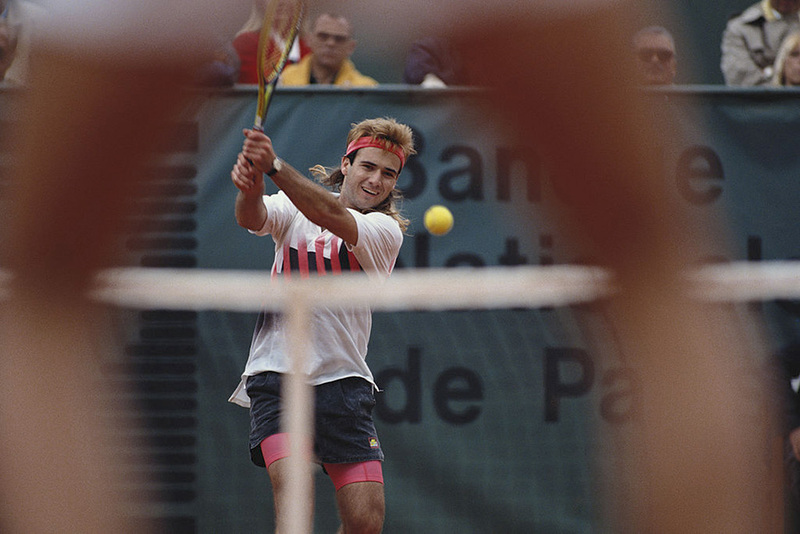 The Shakespearean arc of Agassi’s career captivated fans of drama as much as sport. From brash upstart to beloved elder statesman. 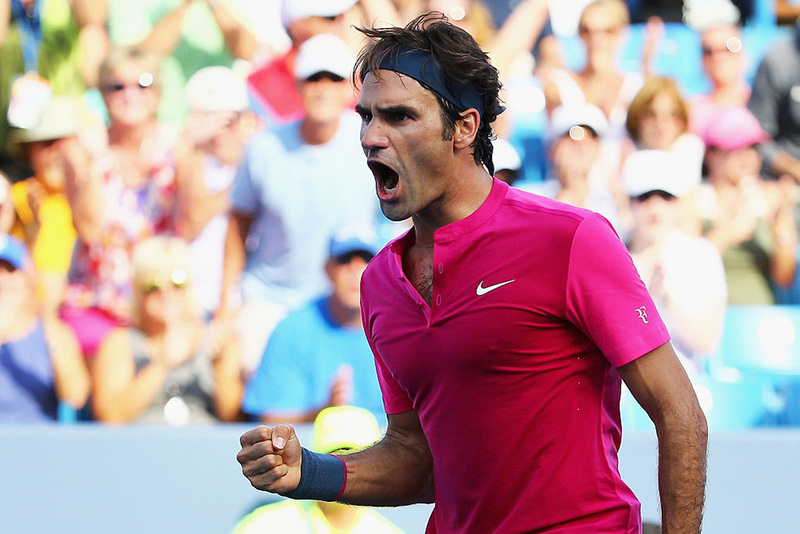 From hapless choker to Grand Slam redemption and the oldest man to rank No.1. From Wimbledon champion to a fall into the netherworld of Challengers and back all the way to No.1. Agassi’s off-court life was no less turbulent or public, before wedded bliss and family with the woman of his dreams, fellow champion Steffi Graf. Agassi set the standard for the transformative career, the mid-career resurrection and the recognition of the support team as integral to a player’s success. From his early days on tour, Agassi travelled with an entourage when the very term was negative and reeked of indulgence. Today, players are quick to thank and laud their teams from the victory dais. Agassi’s left-field appointment of Brad Gilbert as coach revitalised his career. Darren Cahill, Agassi’s coach for the last five years of his career, also guided the American to Grand Slam success and the No.1 ranking. Did Agassi’s shrewd coaching picks in any way inspire Andy Murray to approach Ivan Lendl? It’s hard to think not. For all that, Agassi’s greatest impact may well be as a philanthropist. He has poured his energy and millions into a charter school for disadvantaged children in his hometown of Las Vegas, and is working on expanding the model to other US cities. Agassi’s biggest career regret? Not starting his charitable works sooner. The foundation became an important motivator in the successful second half of his career and eased the yawning divide to the post-playing life. Has any champion transitioned into retirement more productively than Agassi? 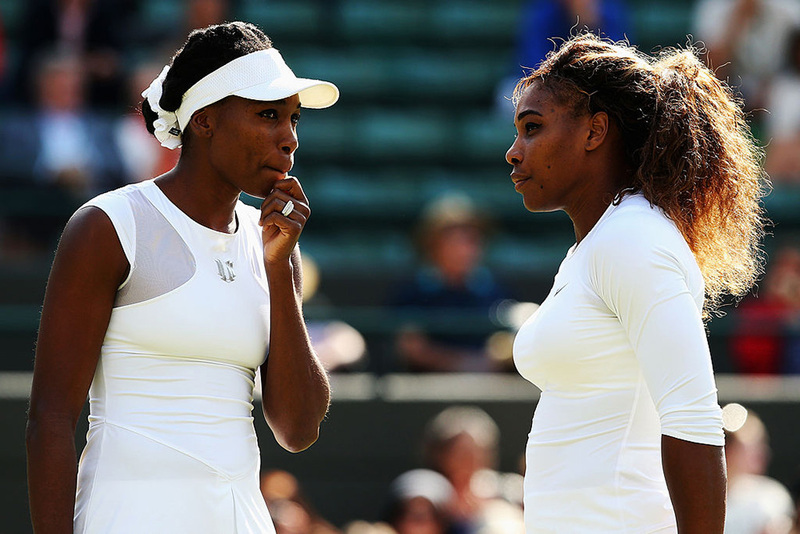 The world of sport has never experienced a double whammy like the Williams sisters. Venus and Serena have shifted the culture of the game with their powerful athleticism, eye-popping outfits and larger than- life personalities. Their decade-plus of dominance – 57 Grand Slam trophies and eight Olympic gold medals between them – has normalised African-American champions and served to make tennis more inclusive. Venus and Serena blazed their own individual road to tennis greatness, at times paying little heed to conventional wisdom. Until Serena joined forces with Patrick Mouratoglou in 2012, both had only been coached as pros by their eccentric father Richard Williams and chilled-out mother, Oracene Price. In their 20s, they were criticised for lacking commitment and being distracted by expansive off-court interests. But several spells out of the game probably helped their longevity. Venus and Serena are still competing well into their 30s, while their contemporaries – Martina Hingis, Justine Henin, Kim Clijsters and Amelie Mauresmo – have long retired (although Hingis recently returned to doubles). Both took the serve to a new level in women’s tennis and both turned the open-stance backhand into a must-have shot. With their upper body torque and leg strength, the Williamses could rip the ball back and cede less court, allowing them to recover position quicker. It’s now a standard shot. Venus was instrumental in pushing for equal prize money at Roland Garros and Wimbledon, finally achieved in 2007, and both sisters are appealing role models for African-American kids. Madison Keys was inspired to take up tennis by an outfit she saw Venus playing in. The Williamses’ legacy will be felt for decades to come. The world’s most recognised sportsman in his glorious heyday, Federer switched the globe onto tennis with his beautiful game, record-breaking feats and sportsmanship. Almost 20 years since E. Digby Baltzell’s Sporting Gentlemen – a lament for how far professional tennis had strayed from its Victorian values of honour and civility, the Swiss maestro has restored tennis to a game of sporting gentlemen. The bad boys have been banished. Federer has made nice the new normal. Tennis has not had a more eloquent spokesman than Federer, who submits to press conferences in three languages. The onerous load speaks of his responsibility to the game but also affords him a global reach unmatched by any other champion. Federer’s character and good deeds off the court have brought honour to tennis as much as his brilliant record. A 2011 poll conducted in 25 countries by the Reputation Institute placed Federer at No.2 in a list of the most admired, respected and trusted leaders, ahead of Bill Gates, Oprah Winfrey, Steve Jobs and Bono. Who pipped him at No.1? Nelson Mandela. No champion has been more admired and adored. Federer has presided over a gilded era in the game, attracting to his matches everyone from royals to rock stars. At 35, the tennis god is in his career twilight. No tennis fan wants to even think about what the game will be like without the luminous Federer. *Editor’s note: This article was written prior to Sharapova’s suspension for doping in 2016. Wimbledon champion at 17, world No.1 at 18 and the winner of the endorsement game as the highest-paid female athlete on the planet, Sharapova symbolises the position of tennis as the leading women’s sport and the rich rewards on offer to glamorous champions. The Russian beauty is Billie Jean King’s vision for women’s tennis personified: a hard-as-nails competitor who pulls in prize money to rival (or better) men players, and is in charge of her career and destiny. A regular in Forbes magazine’s rich lists alongside show business celebrities and IT moguls, the 26-year-old Sharapova has proved a shrewd manager of her money and career. But for all the talk of riches, and her wealth of natural advantages, it is sacrifice that sets Maria apart. Hard times and hard graft have made her the champion she is. From relocating at age nine to the US with her father, leaving her mother behind in Russia for two years; to playing tennis as a right-hander, sacrificing the flair and advantage of her natural leftiness; to coming back from career-threatening shoulder surgery at age 21 to achieve a career Grand Slam in 2012, Sharapova is the example for taking the hard road to tennis glory. 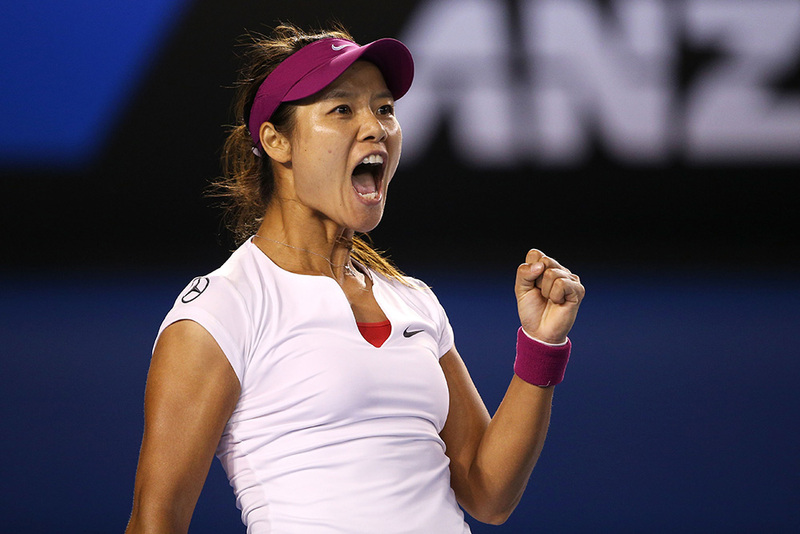 No champion had the potential to change the game more than China’s groundbreaking Grand Slam winner Li Na. With her tattooed decolletage, spiky rockstar hair and snappy one-liners, Li was always a non-comformist. On-court milestones confirmed the success of her independent path. Li was the first Chinese player to win a pro title (Guangzhou in 2004), the first in the top 10 and the first to contest a Grand Slam singles final (Australian Open 2011) before her historic win at the 2011 French Open. The sleeping giant had awakened. Professional events in China mushroomed almost overnight and prize money and sponsors poured in. Li graced the cover of Time magazine in April as one of the world’s 100 most influential people. Her light-hearted nature off the court, alongside her attractive game and trailblazing wins, made Li a dream champion for China and for tennis. When the ATP chose Shanghai for its 2002 year-end Masters Cup, there was scepticism from fans and insiders that China was ready to embrace tennis. After Li, no one doubts that the world’s most populous nation is in the game, and ready to transform it. This article first appeared in Australian Tennis Magazine.